 MedBest is focused on placing top executive to mid-level management into competitive senior care facilities. Established in 2001, our senior healthcare recruiting firm consists of former executives and professionals in the long-term healthcare industry. Our first-hand experience provides our clients with above average success rates. After all, your business has been our business for decades. How Do Our Recruiting Consultants Help Healthcare Executives? We specialize in placing senior to mid-level management, and C-suite executives in positions based on advanced interviewing procedures and science driven personality testing. With baby boomers entering senior care living facilities at record numbers, the demand for healthcare job placement is one that will continue to escalate. The need for a reliable resource to deliver the best long-term care employee has become essential to saving companies time and money. As experts in the field of long-term healthcare, we understand it’s difficult for job seekers to find positions that fit their needs and skill sets. We evaluate a candidates personality, qualifications, skills and motivators to find their dream job. Study’s have shown that when an employee is happy with their position, they are more engaged resulting in a more productive work environment. Finding the perfect match between a company and a candidate is crucial to long-term success. The MedBest Executive Recruiting Team is highly selective. Only an exclusive group will make it to our interview process, with our clients seeing a few elite candidates. Unlike many healthcare recruiting firms, our focus remains on quality, not quantity. We screen candidates through a 25-step process with our MedBest Advantage package. And with our MedBest Premium package we take it a step further by including the nationally renowned DiSC personality assessment. Our clients find this information invaluable as they gain unprecedented knowledge into a candidates strengths and weaknesses within a work environment. We analyze 55 job-related personality traits to determine what motivates someone and what soft skills are brought to the table. Coupled with a candidates goals and experience, we then use this knowledge to recommend the best jobs possible. At MedBest, our focus is on finding long-term positions with senior healthcare providers whose company culture aligns with the candidates. We take pride in surpassing our clients’ and candidate’s expectations. We believe there is a perfect role for everyone, and we work tirelessly to find the right one for you. Established in 2001, our teams have over 80 years of combined experience in the healthcare industry and the healthcare recruiting industry. We know what it takes to excel and look for that in our candidates. Contact MedBest today for an experienced senior healthcare recruiter.